Hi there, well back into the usual routines I guess, like we haven't just celebrated the beginning of a New Year. 2013 is already well on its' way, would be nice if it slowed down just a little. After all the furious knitting before Christmas, I have tried to slow down and dedicate my time to one project at a time, and I have decided that before I can get any new wool, I need to finish the wool I stashed throughout last year with the various projects that were originally planned for. But ooooohhhh, the temptation, no Ravelry browsing....killing me, KILLING me! Back to the topic of WIPs. I have been busy with Jassy's Jumper over the last week or so. 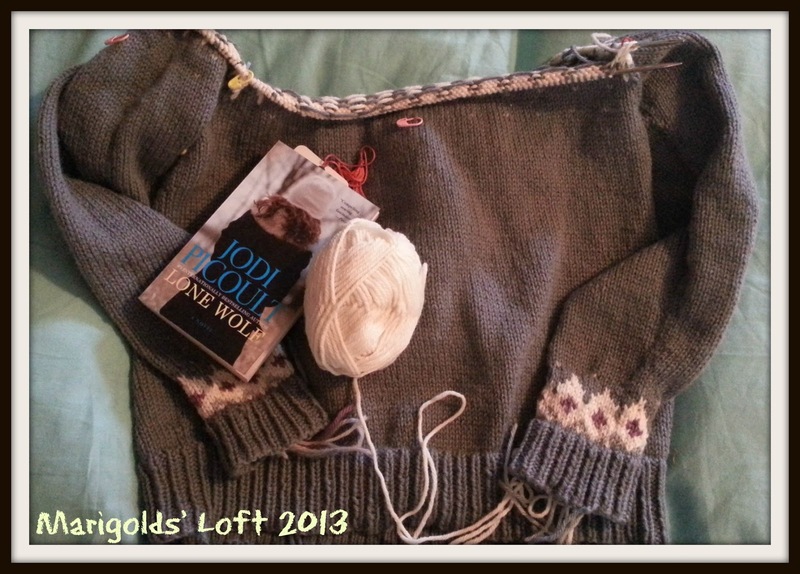 I am on the yoke right now and hope to have the pullover finished soon. I am experiencing a bit of Carpal Tunnel problems at the moment, but I am trying not to let that get in my way! This Project is fun, and I am enjoying the Fair Isle and unlike with small garments, I am really concentrating on getting the tension perfect for the colours. It is quite challenging, but enjoyable. I am knitting this pullover in Drops Lima, another really nice wool to work with. Reading: As you can see, I actually have a real book this week, it is really quite nice to hold a book again, I love my E-reader but there is something to be said about the feel and smell of a genuine book! I am on my 3rd book from Jodi Picoult - Lone Wolf, and am really enjoying the book thus far. She really is a great writer, and I am hoping that the book will finish well. I will let you know as soon as I am done, which shouldn't be too long now as I am over halfway. 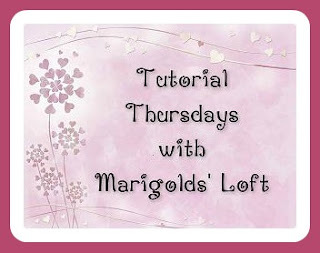 Don't forget - tomorrow Tutorial Thursdays will be running again, I hope you will come by and join in the fun, I would love to see what you all have been up to. Do head over there for loads more grand handmade goodies! P.S. Did you hear the exciting news? You are right, I am hooked, her books are so easy to get into, love that about a book. 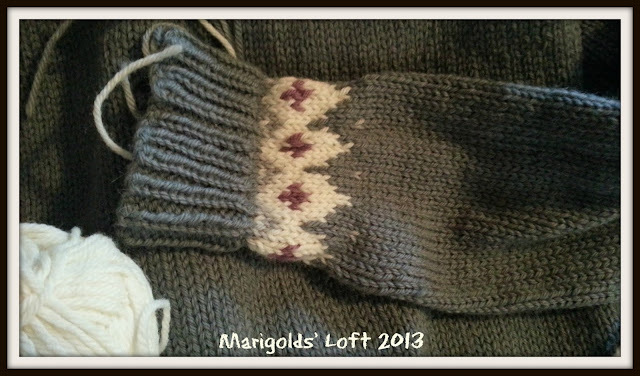 i love that bit of fair isle right there at the cuff and the neck line. it seems to challenging. i am very impressed. Your color selection in the Jassy Jumper is wonderful. I think they really accentuate the design nicely. I hope you're carpal tunnel abstains long enough for you to enjoy some knitting time. This project is going to be gorgeous to wear. Today my wrists are feeling a lot better, thank you, so I am hoping to get a couple of rows of knitting done today. I am just popping over from Tami's wip wednesdays, I've decided to join in :) Your Jassy Jumper is looking great and I really like the colour combination you've chosen. Sometimes its great to just go back to a real book! Glad you are joining in, it is always so much fun and you will find so many talented crafts to feast your eyes upon. Is the yoke going to be like the cuffs? oh that sweater is going be fantastic! Just popping over to visit your new homesteading blog. Yes, the yoke is similar with an extra pattern bit above. I love the fair isle effect, that sweater is going to be gorgeous!